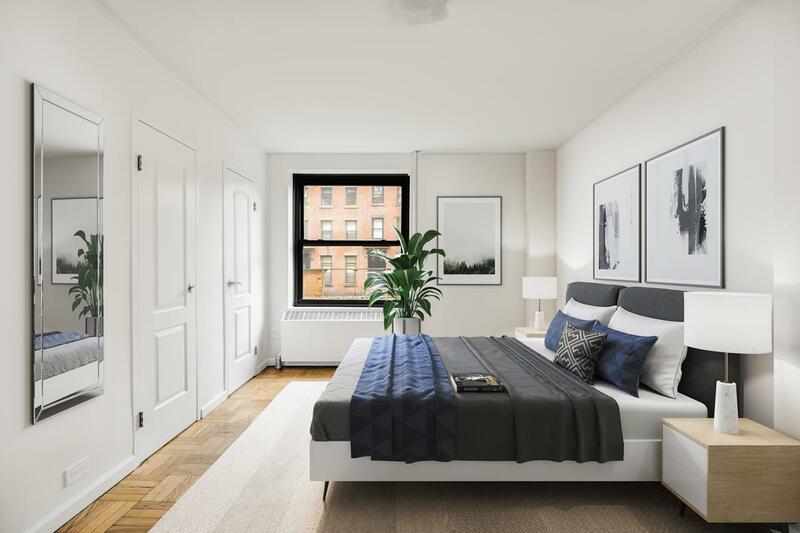 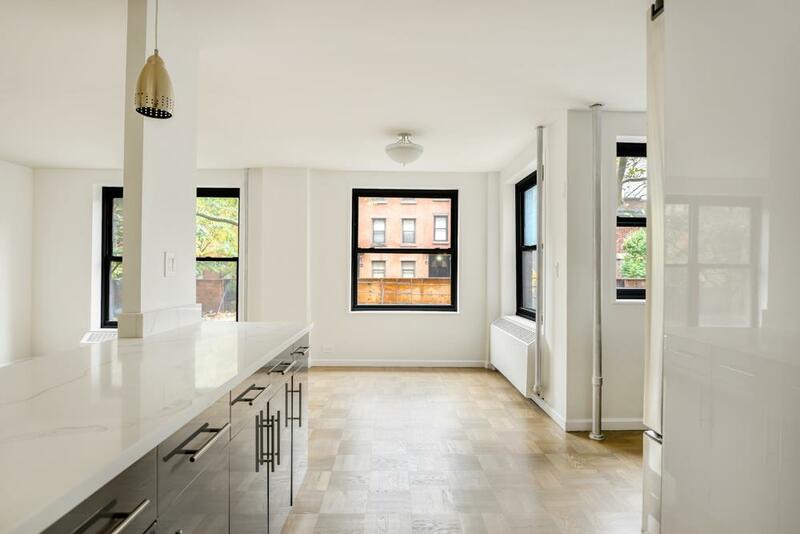 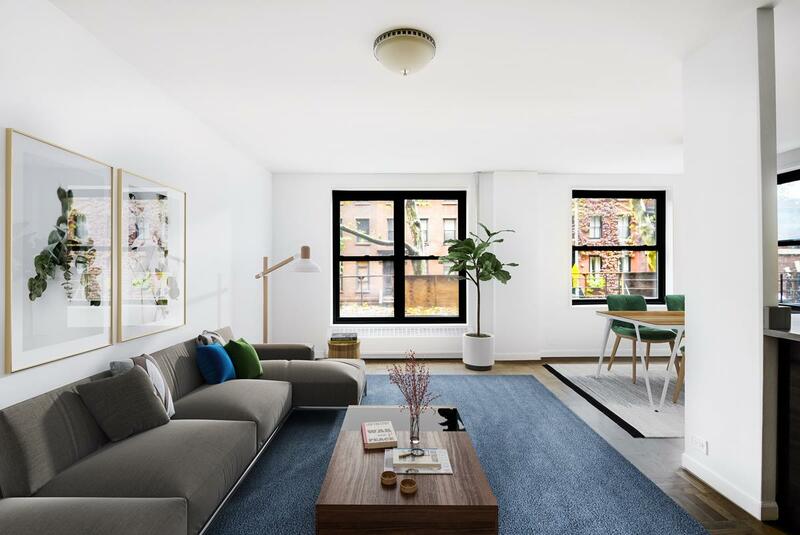 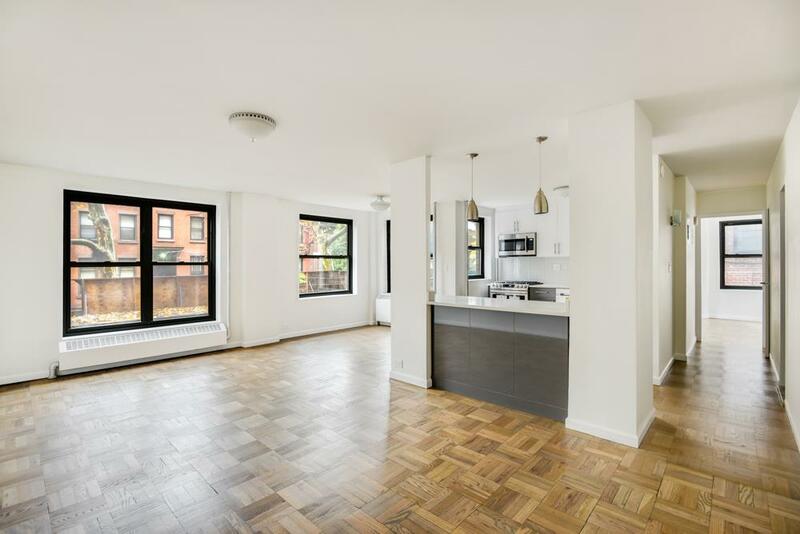 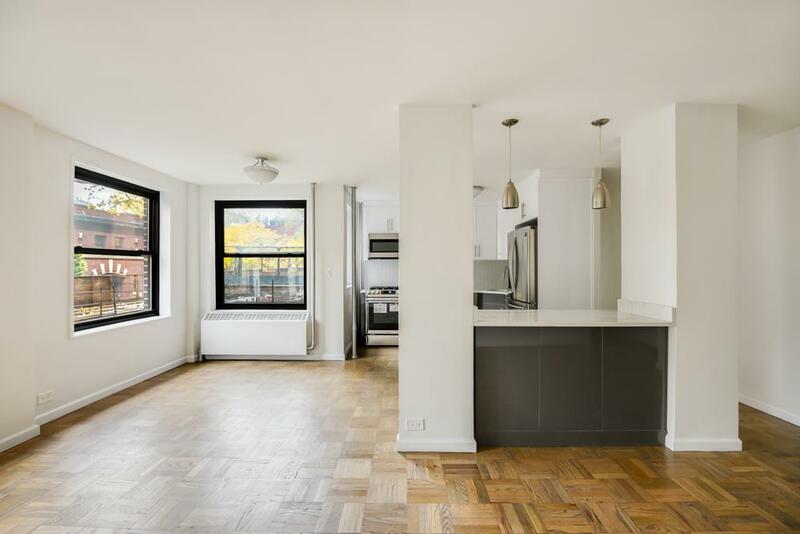 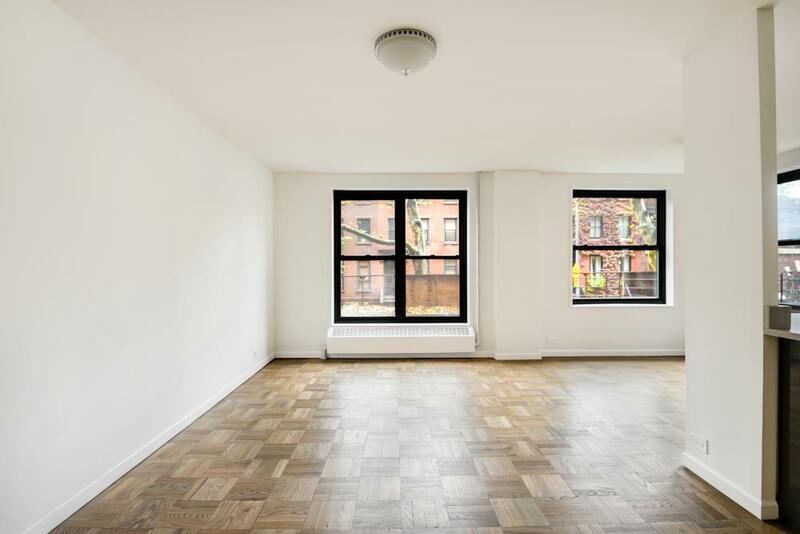 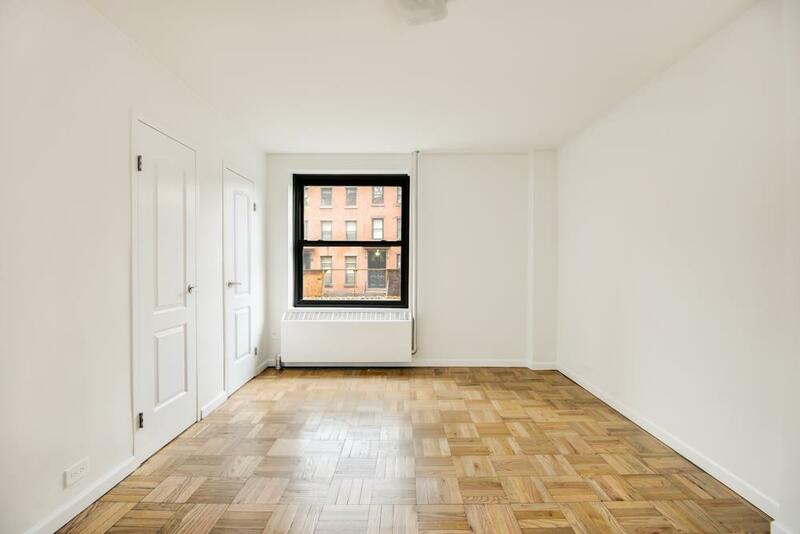 This modern large and renovated 1 bedroom apartment features hardwood floors, large windows with Eastern exposures providing beautiful natural light and open views of Townhouses. 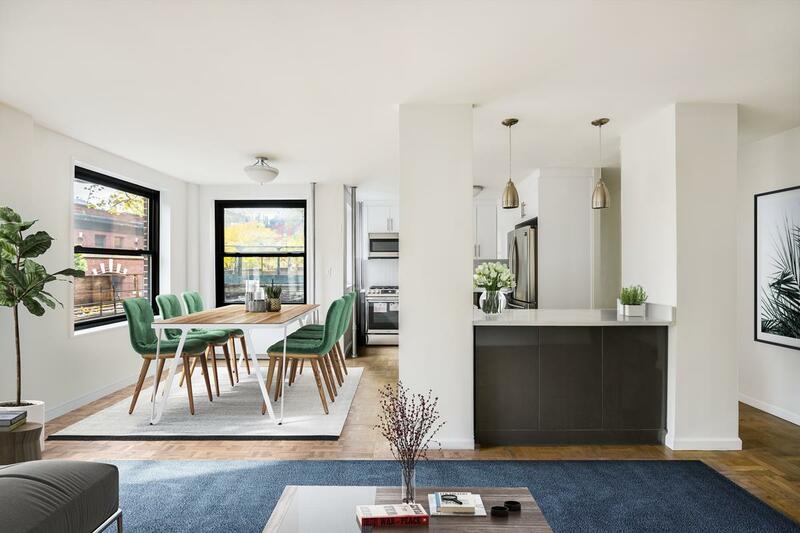 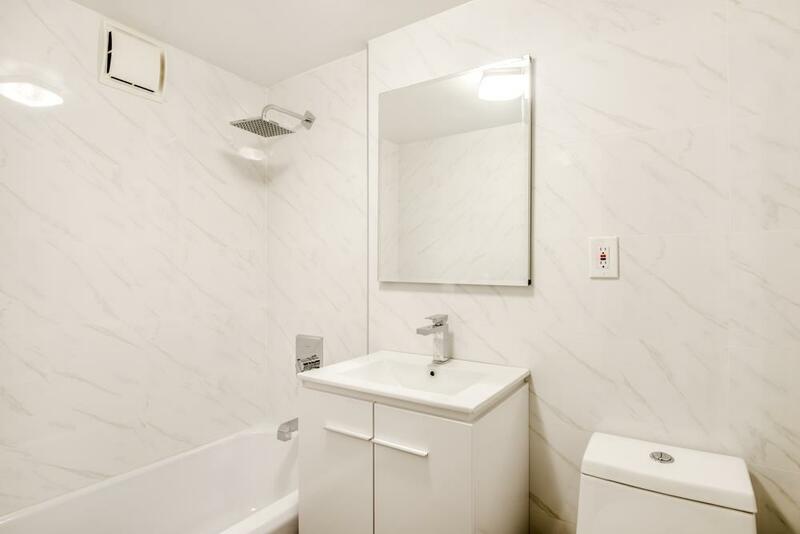 The apartment's layout has open living and dining areas, in addition to an integrated windowed kitchen with a breakfast bar and stainless steel appliances. 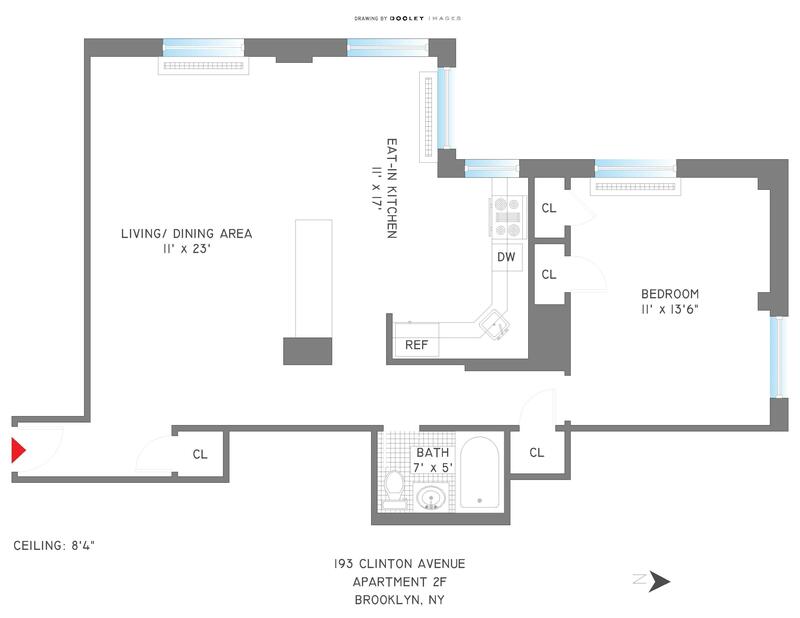 The hallway leads to an over-sized master bedroom and marble bathroom with closets throughout the space. 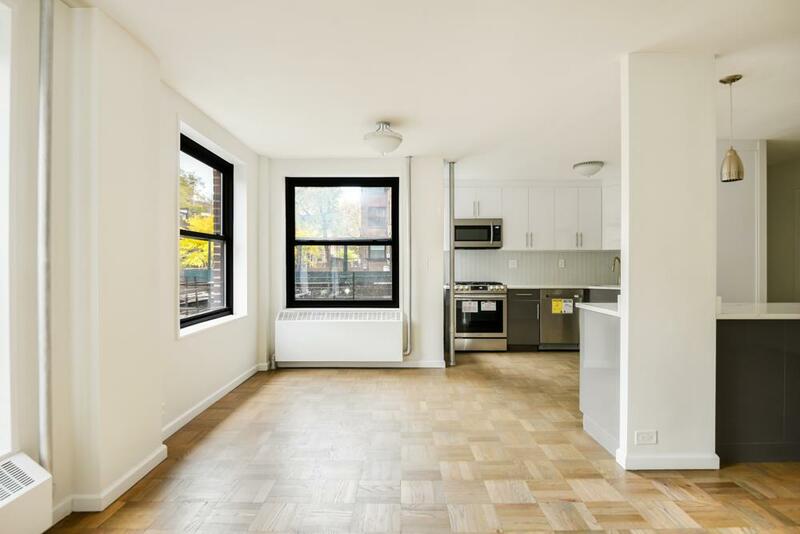 The coop has in-building laundry, bike storage, and 24hrs guard security.